When I met Anna and Clemens Deyerling for the first time, I noticed the blind understanding and wordless communication between them that only close siblings can have. They know and respect each others roles, in their private life but also in business as they decided to start a company together with their partner Julius, an old friend of Clemens’. 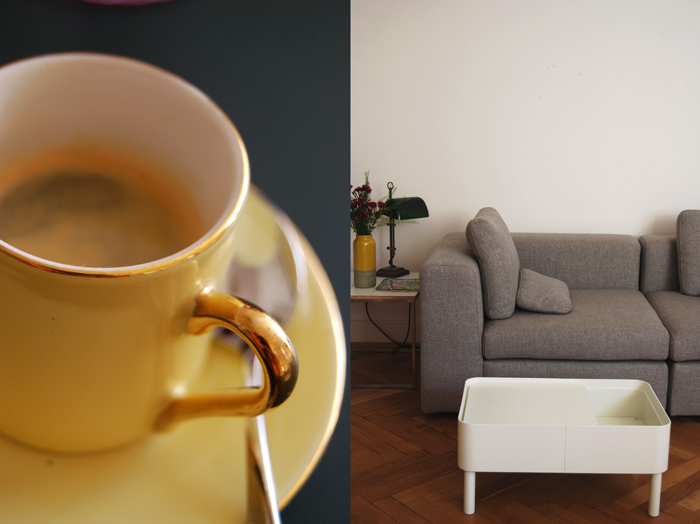 In 2010, Sitzfeldt was born, the beginning of an exciting journey and the start of a young online business for affordable design furniture. The Deyerlings come from a family background of furniture and design and they wanted to continue this family tradition, but in their own way. They sat together with designers who already were or became friends over the years and developed various sofa collections. One of them, the Set sofa system, already won the Interior Innovation Award and the renowned Red Dot Design Award. A few months ago, the young entrepreneurs presented a selection of their collections in one of Berlin’s old manorial flats. One spacious room followed the other, separated with large double wing doors, high ceilings decorated with opulent stucco and beautiful timbering on the walls. The siblings chose an amazing location for the presentation but they also managed to create a beautiful evening with great people and food. One of the (not insignificant) reasons why I still remember that day so clearly are Clemens’ skills in the kitchen, this man can cook! He treated us to a buffet of various soups and dips, fresh bread and wine and everybody loved it! On that day, Anna was the perfect host, she’s not only responsible for the creative presentation of the design which led to a very comfortable atmosphere, but her soft and warm way makes you feel welcome right away. So while her brother was busy in the kitchen on his own (if you read the interview, you’ll know why) we got lost in chatting. 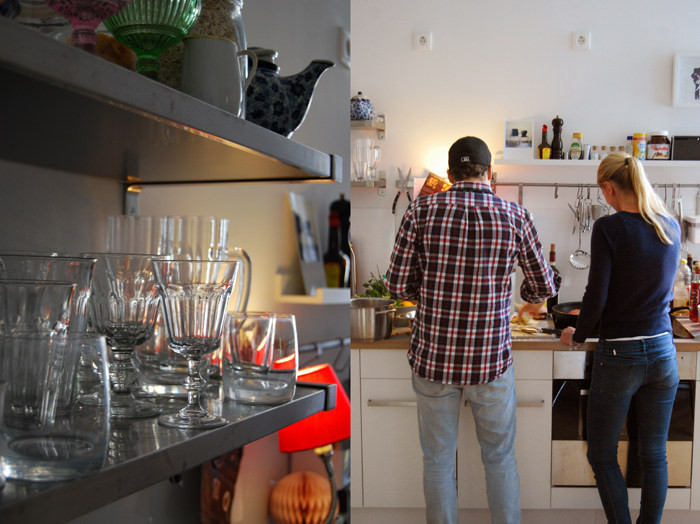 When I met the two siblings in Anna’s gorgeous flat this week for our meet in your kitchen feature, the roles were more or less the same, us chatting while Clemens was cooking. 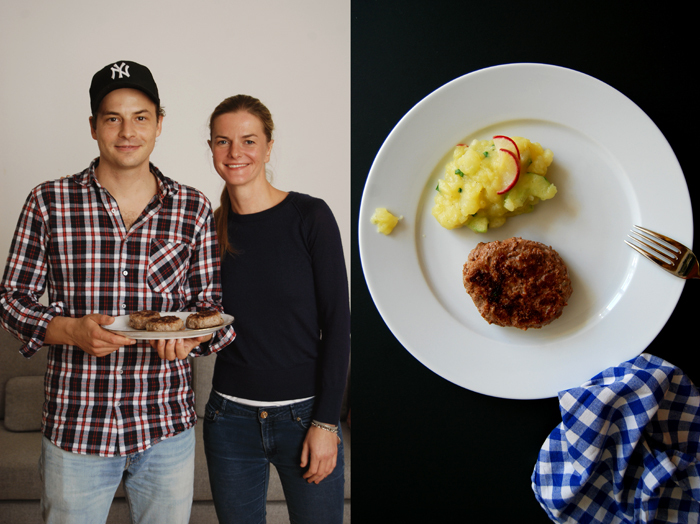 Clemens made a fantastic venison burger – called Fleischpflanzerl where he comes from – with the most amazing meat from a butcher in the Brandenburg area outside Berlin, accompanied by a light warm Bavarian potato salad inspired by the region where they grew up, the south of Germany. Soak the bread in the milk for a few minutes. Tear the bread into pieces and mix with your fingers. Cook the onion in a little olive oil until soft. Whisk the eggs, mustard, orange and lemon zest and season with salt, pepper and nutmeg. Mix the minced meat with the bread/ milk mixture, the onions, the egg mixture, marjoram and parsley and form the burgers. In a large, heavy pan, heat a splash of oil and cook the burgers on medium heat until golden brown on both sides and cooked through. Cook the onions in a little olive oil until soft. 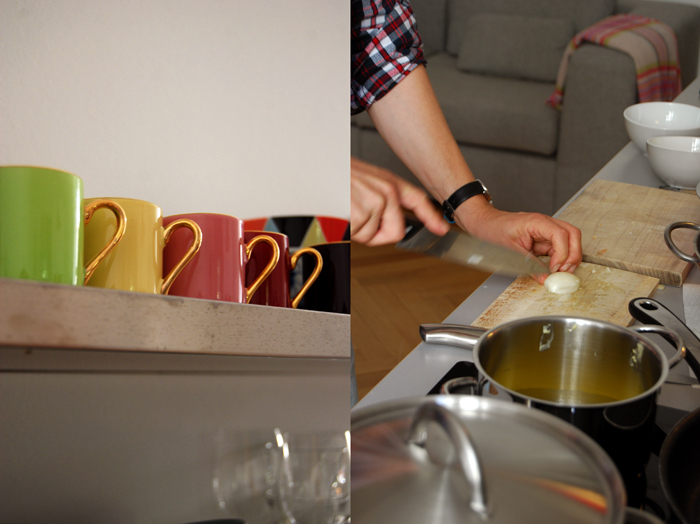 Mix the hot broth with the vinegar and mustard and season with salt and sugar to taste. Slowly mix the potatoes with the dressing (not all at once). 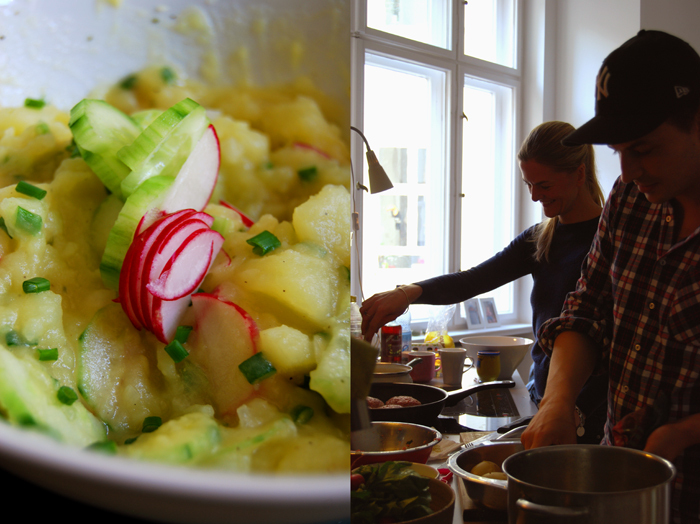 Stir in the onions, cucumber, radish and chives. Serve warm with the venison burgers. Anna and Clemens, you grew up in the south of Germany, in Bavaria. Both of you studied in Germany and in London, when and why did you decide to move to Berlin? Clemens: I fell in love with Berlin during my studies and tried to find my first job here. I was lucky. 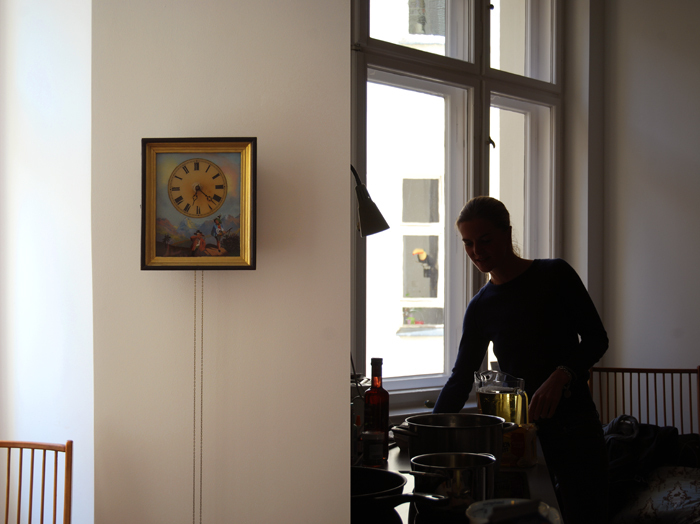 In the meantime our entire family – our sister and our parents – also moved to Berlin. Anna: We grew up in quite a small town in Bavaria. I always dreamt of living in a big city. Berlin has always been on my list and after having spent a few months during my master’s program here, I always wanted to come back. I just love the openness and the variety of Berlin. I finally moved here 10 years ago and since then Berlin became home more and more. Do you miss the kitchen of the south? Clemens: Oh, yes. I miss it badly. Especially the Schweinebraten (pork roast) our grandmother used to make every single Sunday. I still need it at least once a month, but do it myself now. And what else? Pretzels, Pretzels, Pretzels… I will never understand why no one outside of Bavaria can bake Pretzels as they should be. Anna: I used to miss it, but fortunately the southern kitchen became quite popular in Berlin over the last few years. So there are good places all over Berlin. When it gets really bad again, I go to Meierei in Kollwitzstraße or I hope for a lunch invitation for Sunday by my brother. Clemens: I am not quite sure. I guess, I used to cook with our Mum when we were children. But the first real remembrances to consciously cook was my grandma making the Schweinebraten every Sunday. Anna: Soluna in Gneisenaustraße, Market at Südstern, Markthalle 9, Meierei, Nansen, Restaurant Obermaier, Massaniello, Txokoa Gastro Bar, Hoastaria del Monte Croce. 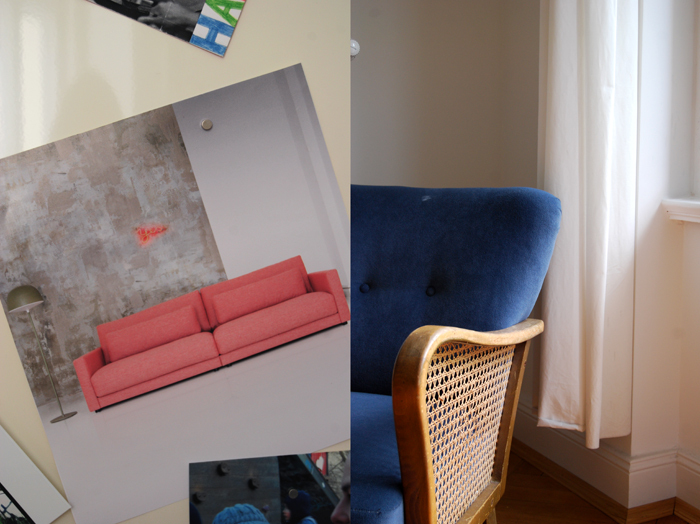 You started Sitzfeldt, an online company specialised in affordable designer sofas in 2010 together with Julius, an old school friend of Clemens’. What moved you to work in the field of designer furniture? 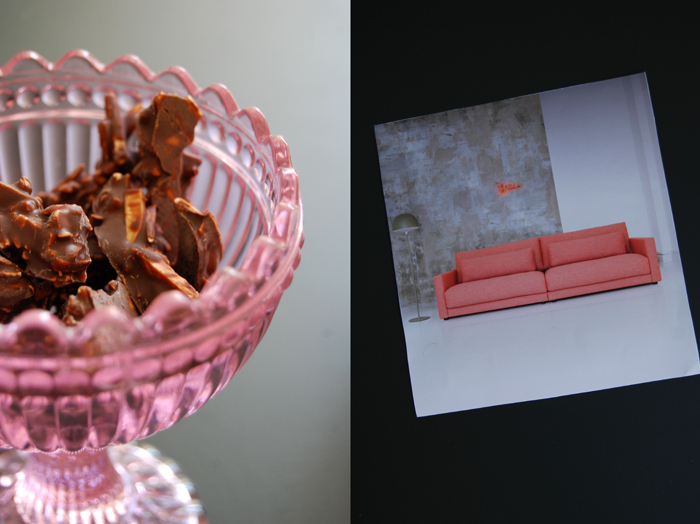 Due to our father’s business, we have always had a great affinity to furniture and design. At the end, it was this affinity combined with the business potential of selling furniture directly to the end customer via the internet. And of course the wish of building up our own company. Your father established a successful furniture business and you continue this family tradition with your own company. How does this affect your work? Do you feel responsibility, is the family tradition a gift or a burden? Anna: Once, someone called Sitzfeldt the ‘Unternehmensnachfolge 2.0’ (Business successors 2.0). That is pretty much how I feel. Without my father and his experience, we would not have been able to build up Sitzfeldt so quickly. But it makes me proud, that we have always done it our way. And: It makes me happy to see my father proud. Of course, he is happy that something he built up is continued somehow. So, it is a gift – for sure. Clemens: It is easier to be an entrepreneur, if there are other entrepreneurs in the family. I feel supported and challenged by my family at the same time. And it helps that worries and doubts are understood and shared. The family tradition is a gift – no burden – because it really helps to build upon failures and successes. Two of your collections have been nominated for the German Design Award 2015. Who are the designers you’re working with at the moment and how do these collaborations start? 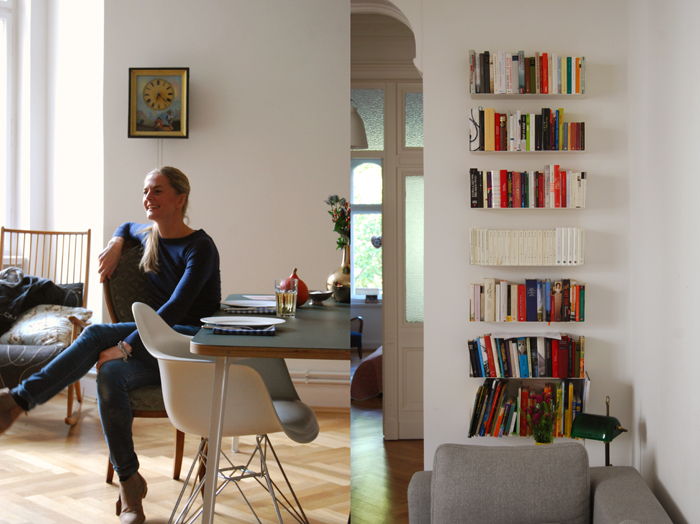 Anna: The designer we work with the most, is Steffen Kehrle. He actually is an old friend of Julius’ who we all met in Milan in 2010. That was the year when the volcano in Iceland was active, so our flights were all cancelled. Steffen had a car and three free seats, so we drove together from Milan to Munich. During that ride we talked a lot about our plans, visions and ideas. When we arrived, it was clear that we would have to work together. That is when we first started to develop our sofa system Set which won the Interior Innovation Award 2013 and the Red Dot Design Award. Since then, we work together with Steffen a lot. We developed the new table GAME with him and are planning many more projects. Sebastian Herkner is a good friend of Steffen, that is how we met. HEIM is the first project we launched with Sebastian. Clemens: In the end, we decide if a designer fits to Sitzfeldt. Our philosophy and their philosophy need to match. So it definitely helps that we are good friends with Steffen. It is fun to work on both of our ideas and plans and it is even more fun to see that people actually like what we do. What are your plans and visions for Sitzfeldt? Clemens: We want to work hard in order to strengthen our market position and our brand. Of course, the long term vision is that everyone who is looking for a sofa takes Sitzfeldt into account (laughs). No seriously, there are three basic elements Sitzfeldt is built upon: design, sustainability and fair prices. We work on all areas and think in small, realistic steps. In the end, we want to continue our journey of the last four years. Anna: I cannot add anything to that, besides one thing: I hope that we will always enjoy what we are doing. 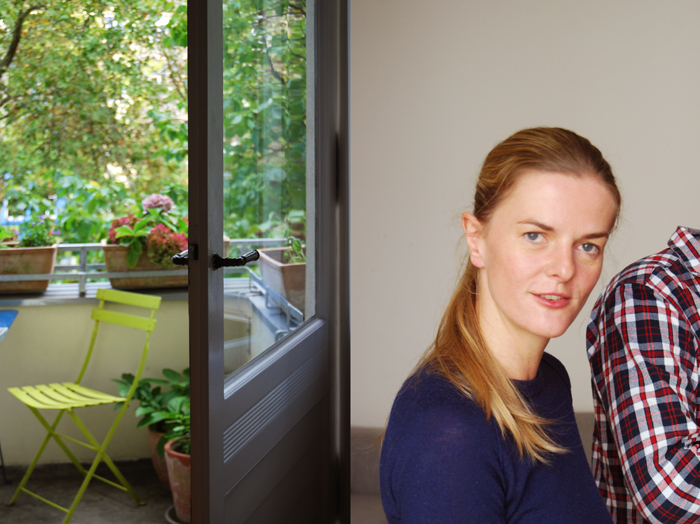 Anna and Clemens, what did you choose to share on eat in my kitchen and why? 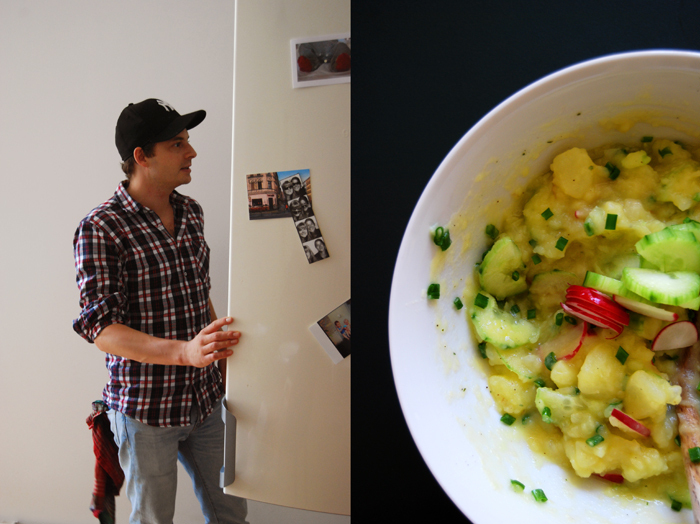 Warm Bavarian Karfoffelsalat (potato salad) with cucumber. Why? This tastes like home and is so delicious with the right potatoes. 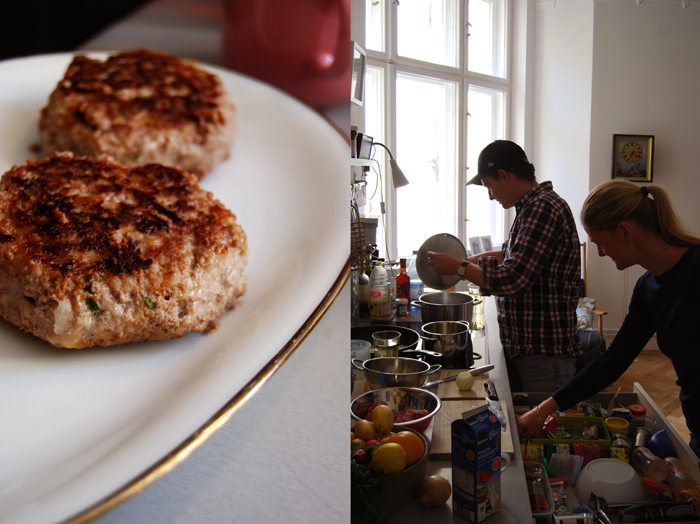 Coming with a Boulette made of Dammwild (venison burger) from Brandenburg. 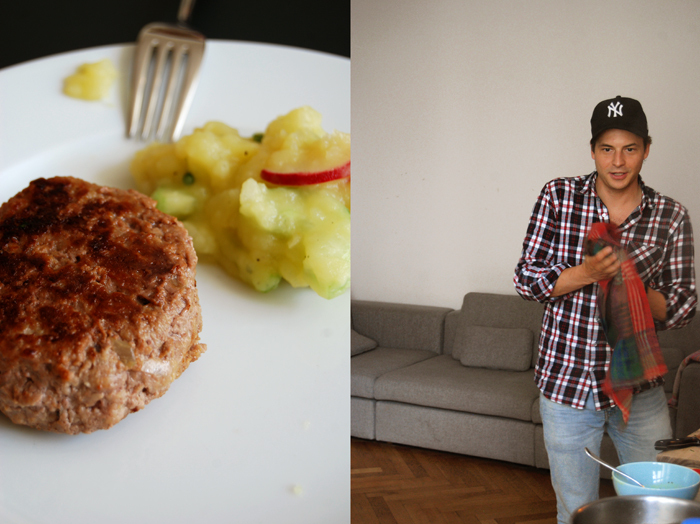 There is no way of enjoying meat more sustainably and the Boulette is also well known in Berlin. This all comes with Preiselbeeren Salsa (lingonberry salsa). 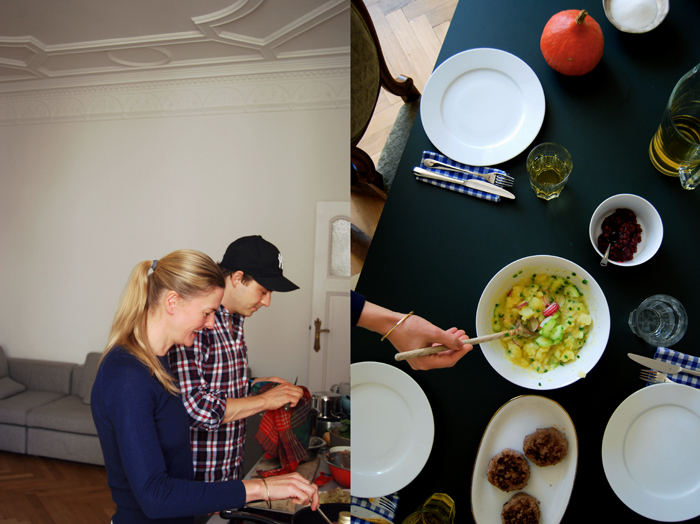 Anna: Our grandmother is getting older and she is the only one who knows how to make Wuchter (Bohemian dumplings) as they should be. Clemens, we need to learn this! So, it is my grandmother. Anna: Pasta. And to be honest, it is also pasta for not-so-spontaneous dinners. Clemens: Pasta. The entire year, there is always something good to have with pasta. And if they really surprise me, I always have homemade pesto in the fridge. 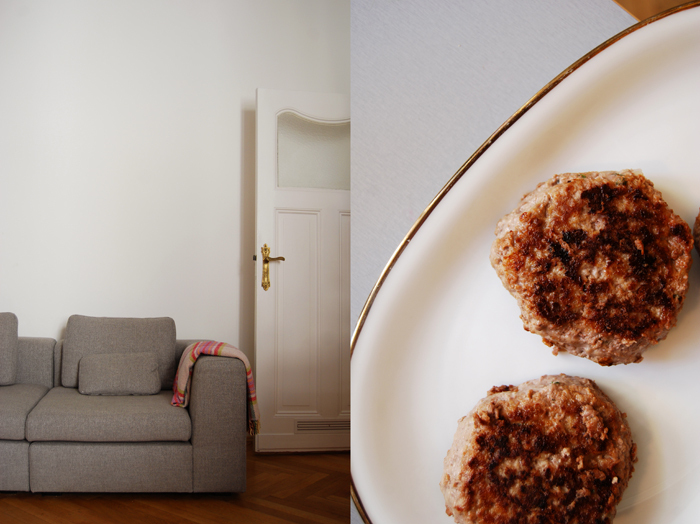 Anna: Childhood: Wuchter – a special kind of the Bavarian Knödel (Bavarian dumplings). Today, I still die for Wuchter. Clemens: Bayrischer Schweinebraten (Bavarian pork roast). Anna: I prefer to cook on my own, but love being entertained by friends and wine while cooking. Clemens: Planned and it really bothers me when I forget something at the grocery store. Thank you Anna and Clemens!